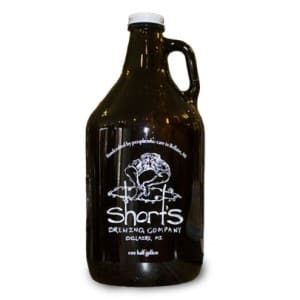 Short’s Brau Lager is a German Helles brewed with German Noble hops. This beer is crystal clear with a very pale yellow hue and superb head retention. This German Helles has aromas of baked bread and hops. Light-bodied and very clean in flavor, Short’s Brau Lager is smooth, well balanced, and refreshing.